You’ve got a busy week coming up on one of your regular business trips, however it’s not all work and no play! 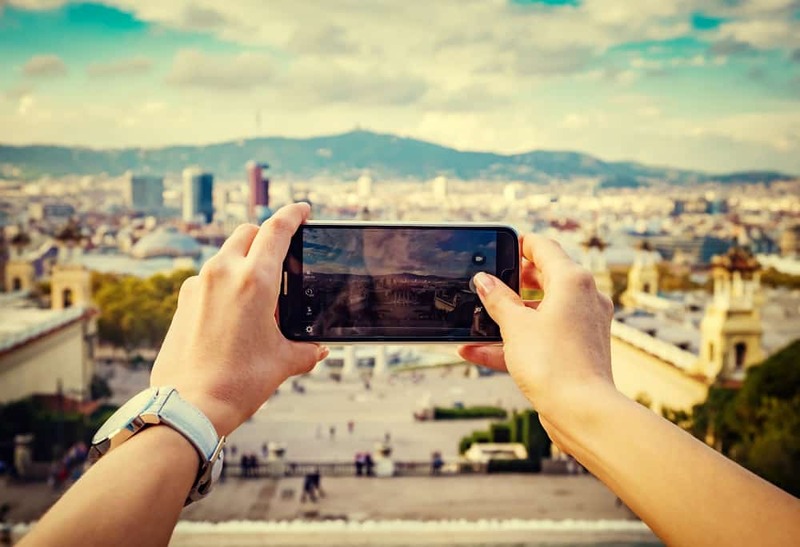 Thankfully, you have managed to slot in some ‘tourist time’ so that you can explore the city a bit more, and would like to capture some beautiful images to take home with you. But not quite sure how to you can best achieve this? Here are five useful travel photography tips that will have you not only snapping confidently, but will ensure these life-long memories remain just that! There is a saying in the photography world that states that ‘the best camera is the one you have with you’. It basically means you need to always some sort of a camera with you whether it’s an uber-DSLR or a your go-to mobile camera. Make sure it’s charged up and ready to go at a moment’s notice as well, as luck often plays a key role in travel photography. And yes, you may have a hectic schedule away on a business trip, however if you want to take professional travel photos you need to allow for a bit of time in your busy travel schedule. This can also help you unwind after a long day of meetings, and give you a chance to explore your surroundings outside of the nine-to-five grind. Wandering around your location trying to source great locations for shots is all well and good, but doing a bit of research beforehand can save you time and help you with nabbing that perfect I-still-have-some-free-time shot. Travel guidebooks can help you with destinational research and blog posts or photography forums are also a great source of travel photography advice. Also ask yourself, what will the weather be like? What images are worth capturing? And how difficult are they to get to? Another factor worth considering is the time of day you are considering shooting. Light is one of the most important ingredients when it comes to photography. The ‘golden hours’ after sunrise and the hour before sunset exude soft, warm tones and eye-pleasing shadows, and the ‘blue hour’ after sunset or before sunrise are perfect for capturing a shot with a blue-ish sky and twinkling city lights. On of the most basic travel photography tips is to use the ‘rule of thirds’ when shooting. Try to place important parts of your photo into those sections and frame the overall image in a pleasing way. Breaking down an image into horizontal and vertical ‘thirds’ will also help with balancing your compositions. Your camera’s ‘grid’ feature can also help with this. Before you take a photo ask yourself what are the key points of interest in the shot and where should I intentionally place them on the grid? You can also try and experiment with different angles (standing up straight, lying on the ground, climbing to a higher angle) or shooting from different distances (wide shot, mid-range and up-close-and-personal). Powerful foreground, mid-ground or background elements can also lead to fantastic travel shots by conveying scale, drawing in the viewer’s eye and giving a three-dimensional feel to your shot. If you have the luggage room on your business trip for a decent camera, try experimenting with settings outside the auto mode. Switch to manual mode and play around with the ISO, aperture and shutter speed settings. Manually adjusting the ISO will help you deal with tricky lighting situations, controlling the aperture will give you more control over the depth of field, adjusting the shutter speed will allow you to capture motion in much more creative ways. When it comes to travel photography for beginners, knowledge, creativity and experience are actually the things that make a great travel photographer. So despite what many retailers in the game might tell you, camera gear is not necessarily what makes a great photographer. Professionals use expensive ‘extras’ because they need to produce a greater range of images, from low-light starlight photography and close-up wildlife imagery to shots that need to capture fast-action athleticism or large close up subjects. Your best option? Spend the time learning about how to use your camera settings! However, if you’re going to invest in anything, consider buying a lightweight travel tripod that will fold up securely in your on-board luggage. Tripods not only allow you to maintain a fixed camera position, they can keep your ISO low, give you the ability to shoot at much lower shutter speeds (without the hand-held shake), and allow you to adjust exposure settings and focus points with ease. #5 – Edit your images and don’t forget to back them up! Despite what some people think, editing your photos is not ‘cheating’, and in fact, most professional photographers edit their images. There are a range of software packages out there that will teach you how to boost shadows, reduce highlights, adjust exposure levels, improve contrast and sharpen your photos. If you really want to improve your skills, research new techniques think about taking a photography course as well. And some must-follow travel photography advice? Back up your photos! You should regularly transfer files from your camera or phone but also keep a backup copy on an external hard-drive, on a cloud storage service, or on an online storage site. Then make sure you back these up regularly. This will ensure your photos are not only safe from theft or damage at home, it will also secure them in the unlikely event that there is a problem with your online backup provider. Need reliable transport to help you explore a new city? CitiCar has all your business travel needs covered with our range of chauffeured cars and people movers! Get in touch today on 1300 661 119.